The city of Fresnillo, founded in the sixteenth century, is a place that most people speed by en route to somewhere else. Yet Fresnillo, in the state of Zacatecas, holds several surprises. It was once an important city on the colonial silver route (El Camino Real or Royal Road, the spine of the colonial road system in New Spain), and still boasts many fine buildings, including a lovely old theater and several churches. 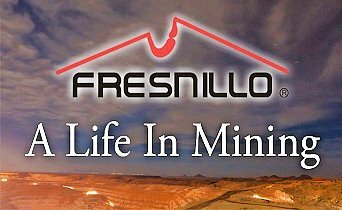 Fresnillo is still an important mining center today. Fresnillo plc, incorporated in the UK, is Mexico’s largest single silver mining company and the country’s second largest gold producer. It operates mines in three major mining zones in Mexico—Fresnillo (Zacatecas), Ciénega (Durango) and Herradura (Sonora)—and is actively developing or exploring numerous other sites. Fresnillo became a major mining center from 1568, when a garrison of soldiers, complete with a fort, was installed in the town to help protect mule-trains carrying silver from Sombrerete (and the San Martín mine) further north and Zacatecas. By the mid-nineteenth century, Fresnillo’s own mines had serious flooding problems. Mine owners sent to England for experienced Cornish tin miners to come and help. The Cornishmen knew how to assemble and operate powerful steam engines, a novelty at that time in Mexico, and a reliable way to help drain deeper mine shafts. George Ruxton, a nineteenth century traveler and author, described Fresnillo when he visited as “paltry” but “busy and frenzied” with 2500 miners hacking away at the nearby mountains. Ruxton thought the work ethic of the Cornish was superior to other English settlers and to the local Mexicans. He was especially impressed by how the miners had planted a beautiful garden, full of fruit-bearing trees, complete with a fountain and ornamental summerhouse. 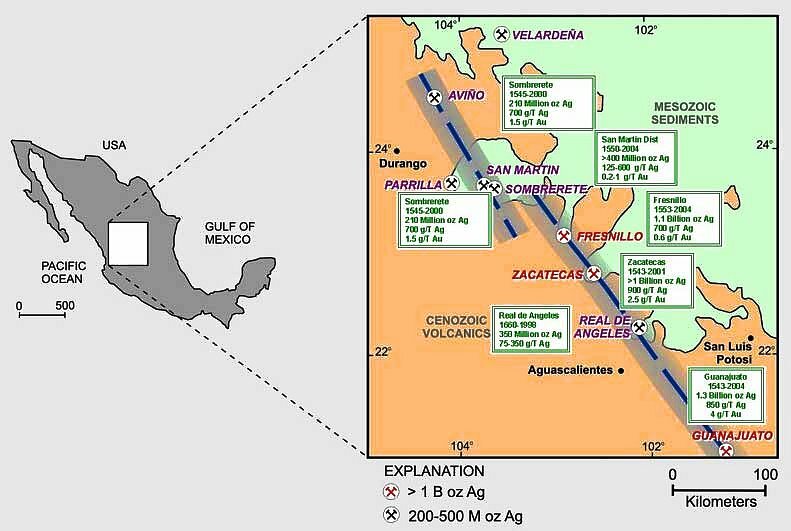 Silver bars were regularly taken from Fresnillo to Zacatecas for smelting and subsequent stamping in the Zacatecas mint. The wagon-trains carrying silver bars, called conductas while under military protection, were frequently assaulted by large groups of bandits, up to several hundred strong. Fresnillo also has significant artistic interest. Two very famous, yet very different, Mexican artists—musician Manuel M. Ponce and painter Francisco Goitia—were born in (or at least very near) the city in the same year, 1882. From Fresnillo, it is only seven kilometers along a wide, well-paved road to Plateros, a place of pilgrimage. The baroque Santuario de Plateros was built at the end of the eighteenth century to be a suitable residence for the Santo Niño de Atocha and the Señor de Plateros (the patron saint of silversmiths). The fame of the Santo Niño de Antocha spread rapidly following a fight between two miners. One miner was sure he had killed the other but then prayed to this saint for his recovery. Lo and behold, his companion recovered! Ex-votos (retablos) tell the stories of the numerous “miraculous” interventions performed by the Santo Niño de Antocha to resolve all manner of problems in more recent years. Source: Most of this post is based on chapter 20 of my “Western Mexico: A Traveler’s Treasury” (link is to Amazon’s “Look Inside” feature), also available as either a Kindle edition or Kobo ebook.